Ten Squared. It's fun to be square! 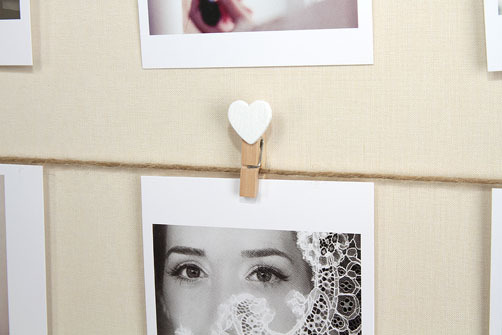 By clicking on one of the following - Aperture Styles, Frame Colour and Linen Colour – a red border will appear around the image, signifying your choice. By choosing one from each, and then clicking on the Ten Squared icon (right) your selection will be automatically be compiled into an order email. Simply add a few contact details and we’ll call you back to confirm your order and take your payment. If you have already have an account with OVI, we can charge your order to that. Alternatively, give our Customer Service team a call on 0845 862 0217 and they will take your order over the phone. 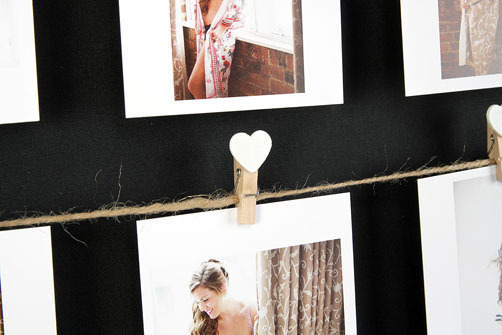 Select two beautiful wooden frames, a few lines of string, two complimentary linen backgrounds and some pretty heart pegs and our charming Ten Squared Peg Frame was born. 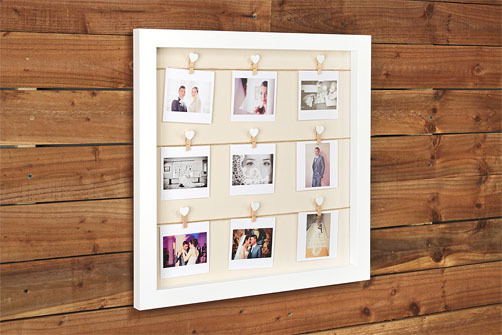 Available in either a 6 or 9 image options, we believe our Peg Frames would make an gorgeous addition to any home - and compliment so many styles of shoot, from Bumps & Babies to Weddings and Lifestyle Portrait shoots, to name a few. Please note, frames are not sold with Ten Squared prints. Prints sold separately. 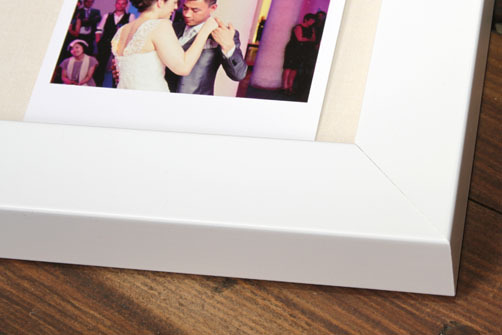 By clicking on one of the following - Print Styles, Frame Colour and Linen Colour - a red border will appear around the image, signifying your choice. By choosing one from each, and then clicking on the Ten Squared icon (right) your selection will be automatically be compiled into an order email. Simply add a few contact details and we’ll call you back to confirm your order and take your payment. If you have already have an account with OVI, we can charge your order to that. 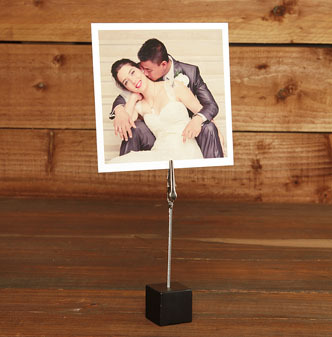 Standing some 122mm high (4in), with the bases coming in three colours black, white and silver, these sweet little desktop picture holders are ideal for showing off the Ten Squared print. 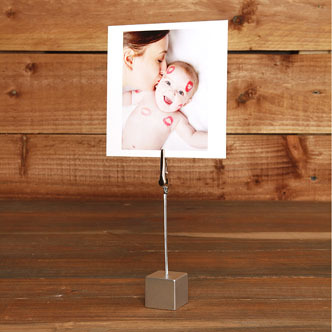 On a desk at work, a bedside unit or even in a kitchen windowsill, the ability to enjoy ever-changing images as your client's mood suits - plus they make a great alternative gift for friends and family. By clicking on one of the following - Black, White or Silver – a red border will appear around the image, signifying your choice. Once you’ve chosen your pack, click on the Ten Squared icon (right) and your selection will automatically be compiled into an order email. Simply add a few contact details and we’ll call you back to confirm your order and take your payment. If you have already have an account with OVI, we can charge your order to that. Please note, prints are not included and are sold separately. All prices quoted on this page are ex VAT and P&P.